What are the Reasons to Hire Airport Taxi Service? Airport transfer is an inevitable task or an activity that some individual has to do. They need to travel to and from on a regular basis for a business meeting or attending other corporate events. Airport taxi service in Rosemont helps the residents in overcoming the hassle and the stress of safety while travelling on a daily basis. 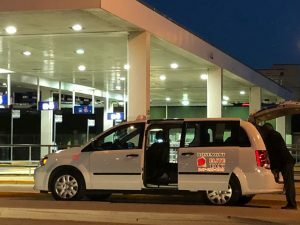 A few years ago, getting an airport transfer wasn’t an easy job neither safe but, in the recent times, there are many companies offering service but, pick them after scrutinizing their honesty and reputation. When your airport trip has been finalised, start looking for a company who can specialise in airport taxi services and hire them for support. Do not rely on a professional randomly but, choose them wisely so that you have a safe and enjoyable journey. On reading this blog, you will learn about the reasons that a person opt for a local firm for airport travelling services. •	Well established company – a company who has been helping the travellers in transferring them to and from the airport is definitely reliable because one cannot survive the tough competition without having quality service. An experienced airport transfer firm has the ability to understand your requirement and will ensure comfort. •	Stress-free journey – there can be many reasons for travelling to an airport. It can be for a business, meeting, family holiday or while going on a tour to other state or country. It is quite obvious that travelling to an airport means having luggage and the number of people together. However, the taxi service, who can ensure comfortable co-operation will be ideal to travel too and fro. •	Reasonable cost – taxi services are quite affordable nowadays. A couple of years back, there were taxi services but, it was too expensive for a common man. You need to read the reviews and testimonials to ensure the cost and enjoy an affordable airport taxi service. •	Respectful and professional drivers – a reputable firm has friendly drivers as they need to ensure that all their customers are safe and can communicate with the drivers while on the journey. A dedicated and knowledgeable driver enhance the excitement of transfer as they keep their clients entertained while on the road. 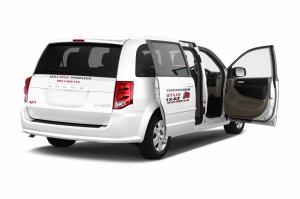 You need to focus on all the points for enjoying first-class taxi service in Chicago. Though there are many companies in the market seek the help of the internet to make a choice. Rosemont Elite Taxi is the final destination for all those who are looking for affordable and top quality airport taxi service in Rosemont. Speak to the representatives for booking and other services. Feel free to contact for your travelling needs!